People have been left in a state of shock after a man killed his girlfriend for allegedly cheating on him. Tragedy struck in Oluasiri, Nembe Local Government Area, Bayelsa State, following gruesome murder of a young girl identified simply as Victoria Ekalamene by her male lover known as Munado Tomworio, a report by TheNation has reported. Munado said to be 28 years old reportedly shot his girlfriend in the face, killing her on the spot after accusing her of infidelity. He was said to have held the deceased at gunpoint while querying her about an unknown man and suddenly the gun went off and shattered the girl’s face. 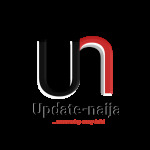 It was gathered that the ugly incident, which occurred at about 11pm on Sunday unsettled Oluasiri community. Following the sound of the gun, residents in the community were said to have rushed to the scene of the disaster, overpowered and apprehended the culprit. Sources said he was immediately handed over to the police for investigation and prosecution. An eyewitness, who spoke in confidence, wondered why a man would kill a girl he had not paid her bride price on suspicion of cheating. “We live in a society that you don’t trust anybody including your own shadow. “This young guy was a well- known respectful and jovial friend to all and sundry but proved himself to be a heartless evil doer. “He raised his gun and shot this innocent lady called his girlfriend at Oluasiri Nembe, not any part of her body but her precious face. “As a soil of the community, he lives in Okipiri, Nembe. The offence is a suspicion of cheating, a lady whom you have not even paid the bride price? “What a condemnable act and demonic wickedness. Brother, we don’t believe that you have such a wicked heart. You disappointed many. You must face the law”. The Police Public Relations Officer (PPRO) Asinim Butswat confirmed the incident saying the suspect was being detained at the command headquarters in Yenagoa. Butswat, a Superintendent of Police, said: “On 14/04/2019 at about 2245 hrs one Munabo Tonworio ‘m’ 28 years shot dead his lover one Victoria Ekalamene ‘f’ after a quarrel at the residence of the deceased in Oluasiri, Nembe Local Government Area, Bayelsa State. The murder weapon, a locally made gun and expanded AA ammunition were recovered from the scene. The suspect has been arrested and is being detained at the SCIID, Yenagoa. Investigation is ongoing”. The post Man Shoots His Girlfriend Dead For Allegedly Cheating On Him In Bayelsa State (Graphic Photos) appeared first on Naijaloaded | Nigeria's Most Visited Music & Entertainment Website.